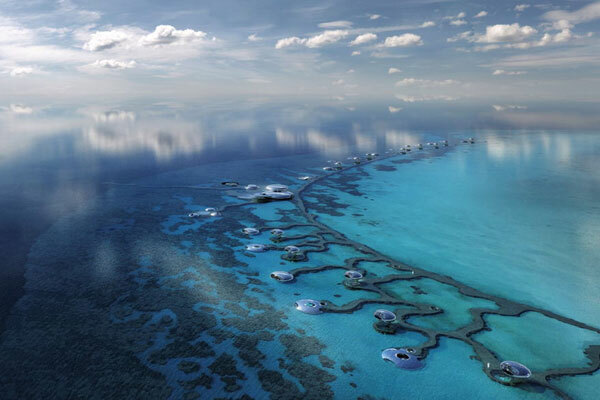 The Red Sea Development Company (TRSDC) said its board of directors has approved the masterplan of its mega luxury tourism project, which will see 22 islands being developed to provide premium facilities as part of the project. The master plan for Red Sea development, one of the world’s most ambitious tourism projects, was developed in partnership with WATG and Buro Hapold and included design concepts from some of the world’s most prominent architecture firms. The Phase One of the project, scheduled for completion in 2022, includes 14 luxury and hyper-luxury hotels providing 3,000 rooms across five islands and two inland resorts, said a statement from TRSDC. It will also include yacht marinas, leisure and lifestyle amenities and an airport to serve the destination, as well as the necessary supporting logistics and utilities infrastructure, it stated. The final master plan, which preserves some 75 per cent of the destination’s islands for conservation and designates nine islands as sites of significant ecological value, required several redesigns throughout the process to avoid potentially disrupting endangered species native to the area, it added. John Pagano, the chief executive of TRSDC, said: "The design concepts that we have presented to the Board will provide visitors with a uniquely diverse, immersive experience while setting new standards in sustainable development, and positioning Saudi Arabia on the global tourism map." "With the master plan approved, we are now identifying investors and partners who are interested in working with us on realizing the objectives of the project and who share our commitment to enhance, not exploit, the natural ecosystems that make the destination so unique," he added. According to TRSDC, the Red Sea Project is an integral component in Saudi Arabia's Vision 2030 strategy. The project is expected to create up to 70,000 new jobs and to contribute as a much as SR22 billion ($5.3 billion) to the nation’s GDP, by creating investment opportunities for the private sector and developing the kingdom’s tourism industry while preserving the nation’s precious cultural and environmental heritage, it added. The destination will be fully completed in 2030. The approved master plan will steer the development of 22 of the 90+ islands at the destination, providing up to 10,000 hotel rooms across island resorts, mountain retreats and desert hideaways. The destination will also offer luxury residential properties and a wide range of commercial, retail and recreational facilities. The master plan is underpinned by an extensive smart destination management system that will support a wide range of seamless, highly personalized products and services designed to appeal to the modern luxury traveller, said the statement.